SLO CAL is the perfect place to spread out a towel, lie on the beach and watch the waves crash until the sun goes down. Strap a board to your car, hit Highway 1 and add a little excitement to your day at the beach. In SLO CAL, there are plenty of places where you can grab a surfboard, don a wetsuit and catch a wave. 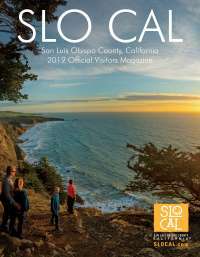 SLO CAL has around 80 miles (129 kilometers) of diverse coastline, with waves for every skill level. Another bonus is that many of these beaches do not have the crowds you normally would see along the shores of Southern California. 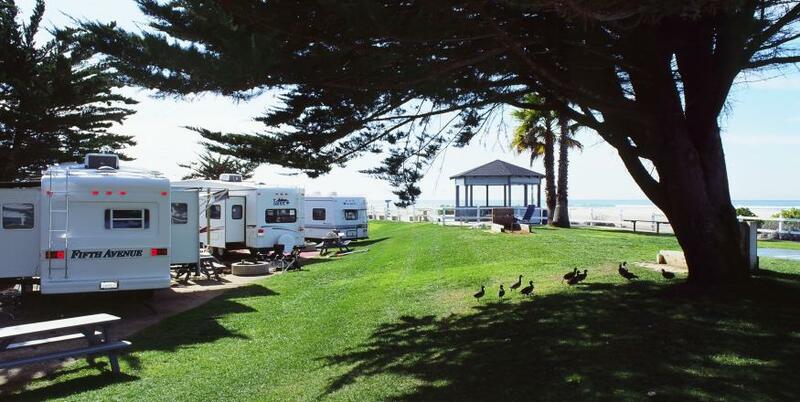 Try the sandy beach breaks of Oceano and Pismo Beach and the reef breaks of Shell Beach. The Pismo Beach Pier is a favorite surf spot for area shredders and the site of World Surf League’s Pismo Beach Open. In northern SLO CAL, surfers flock to “The Rock” in Morro Bay to catch waves in the shadow of the 500-foot (150-meter) tall, 23-million-year-old volcanic plug. Nearby is the Cayucos Pier, a good place for beginner to intermediate surfers, and depending on the day, the waves can be big and barrelling or small and mushy. Outside of the most popular locations, there are plenty of hidden breaks along the nooks and crannies of the SLO CAL coast. Pop into a surf or coffee shop to ask a local for tips on secret surf spots. The waves tend to be the best during the fall and winter when the sea swell picks up. In these months, it’s not uncommon to find waves that surge above surfer’s heads. The water stays cool year-round on the SLO CAL coast, so make sure to pack or rent a wet suit. Sea water temperatures range seasonally from 55 to 65 degrees Fahrenheit (13 to 18 degrees Celsius). Pro tip: The winds tend to pick up in the afternoon, so ride the finest waves during an early morning surf session.